I just learned about the book Independent by Design by Stace Harman and John Robertson. 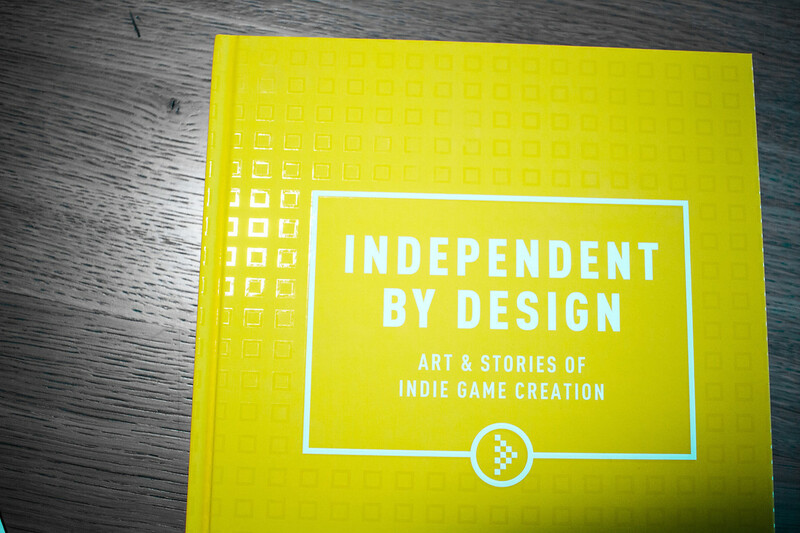 Independent By Design is a celebration of indie games and independent videogame creation, presented through a deluxe hardback book that chronicles the experiences and vivid design of over twenty of the world’s most revered and renowned indie game developers. Each chapter tells the story of an indie game development studio, such as Vlambeer or Frictional Games, and the book looks gorgeous. In fact, there’s two different books. One is the basic, “core” book, which you can get signed by the authors for a little extra cost. The other is the Transcript Edition, which features “written transcripts of the dozens of hours of interviews we’ve undertaken with independent developers and videogame industry figures.” It’s quite a bit more expensive, but it sounds like a great way to get into the heads of multiple indie game developers without having to do your own set of interviews.